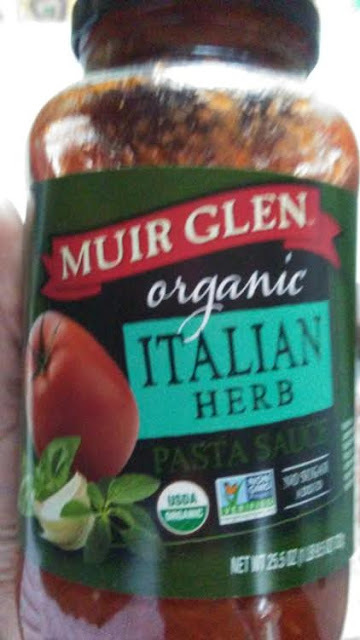 What do you fix on cool, Wednesday evening...why make an Italian-inspired pasta dish using Muir Glen Organic Italian Herbs Pasta Sauce!! I love how it has free organic fields and has short field to canning time for quality and freshness plus Extra Virgin Olive Oil and yummy Italian herbs!! I was lucky to get on sale at great deal at my local Kroger Food & Drug because its good but a little pricey for my modest budget! But I love eating quality, organic food whenever I can get it too! 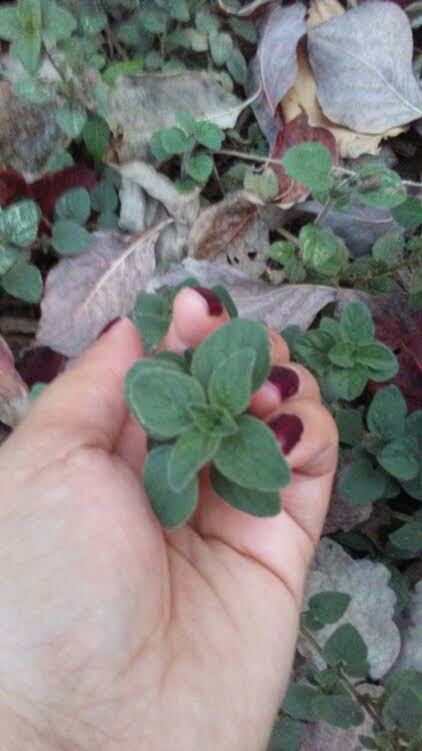 This is fresh oregano grown in my Mom's garden and although its cool Fall weather here in Central Virginia it is still alive! But I love the medium chunkiness of this pasta sauce that lets me know that they are using farm fresh tomatoes and Italian herbs!! And for parents or home cooks who are either too tired or busy for whatever the reason, at least I am not compromising on quality and flavor with this pasta sauce! 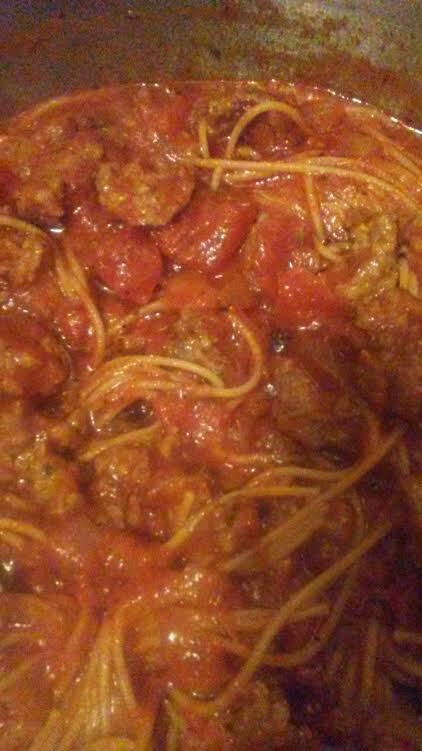 I mixed cooked whole grain pasta and Italian sauce with this sauce to create an easy but satisfying Italian-style dinner!! Delicous!! I will definitely get this Muir Glen pasta sauce again for future Italian dishes!